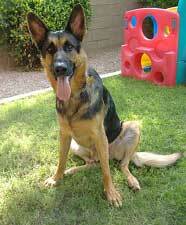 We rescued Logan from probable euthanasia at the Tucson Humane Society. 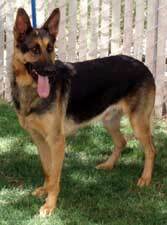 He's currently being fostered by our Tucson fosters awaiting transport to his new foster-to-adopt home in Scottsdale. 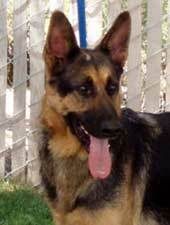 What we know so far is that he is a friendly, outgoing guy, good around male & female dogs. He's a bit of an escape artist but doesn't leave his property. We won't know if this is the result of being confused and disoriented post shelter life, then left alone for the 1st time, or, if this is a tendency of his. He is affectionate and relatively calm. Transport by or before Wednesday, July 19th. Please check back for updated info. UPDATE 7/22: This handsome fella will be making his trip to Phoenix early on Sunday, July 23rd. Last week he had a little benign lump removed from his chest and had a slight reaction to the sutures, so he's been messing with it. 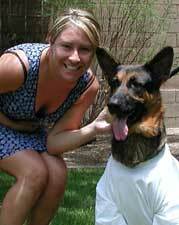 As a result, we waited a few extra days to move him and he has to wear a T-shirt to make the incision less accessible. We did have it checked in Tucson on Thursday and it is healing. 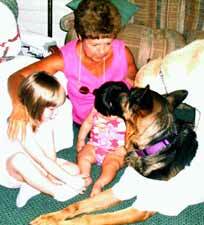 In the meantime, we've learned that he loves and does very well with children...large and small. He also did fine left loose in the house rather than crated. Logan will spend the next two weeks settling in and showing us how he does with a cat. We'll know in two weeks if he's moving in or moving on. UPDATE 7/23: This very pretty boy was somewhat frightened at the prospect of, yet another, stranger taking hold of him and putting him into an unfamiliar car. The shelter experience followed by surgery will do that to ya. Regardless, he was Mr. Perfect on the long ride north. We would have to describe Logan as "polite." Despite his uncertainty, he was immediately trusting of his new Mom, Kris and even laid down so as not to intimidate the cat. He kept a respectful distance, allowing her to keep staring at him until he had to check to see where Steff was; Logan is far more interested in people than cats! We're pretty sure that he was an outside dog and is very careful not to disturb things in the house. He's curious and will sniff, but not touch or take anything. He's a soft and sensitive guy requiring very light corrections (if at all, so far) and a gentle touch. He sits, downs and walks well on lead. He will shadow his person everywhere and wants very much to please. Logan is a calm spirit. After some settling in time, we'll have our vet take a look at his incision and run some blood work. On intake at the Humane Society he was tick infested, had a small injury on his hip (which was treated and sutured) and subsequently the surgical removal of that growth. He's had a rough go of it. Once we're able to bathe him, he'll be a new man. Logan is housebroken, neutered, current on shots and will be chipped shortly. He does well with both male and female dogs, and now, even cats. He is very tolerant of toddler behavior and has started his crate training, although he was a good boy when left loose in the house. He did have a pack of dog friends when his people were gone, so we'll see how he does home alone. We will have a closer look when he sees our vet, but his shelter records say he's 4 or 5 years old; he looks no more than two years old to us and quite good looking! 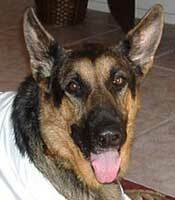 UPDATE 7/28: Logan had his exam and blood draw today and was microchipped. We will know if he has any health issues by Tuesday. While the incision from his surgery looks fine, there is some fluid build up because the shelter did not put in drains. We will give it another week to see if his body absorbs the fluid and if not, will have to do what should have been done in the first place. In the meantime, he's on a prophylactic course of antibiotics just to be safe. Our "left home alone" question has been answered: Logan has some separation anxiety and is panicky when left alone. He cannot be crated as he might injure himself trying to get free. Typical of dogs with this issue, he will run and jump between doors and windows trying to get out and locate his person. He did well in Tucson left with a couple of other dogs when left loose with his humans gone, so we're going to borrow to another dog in the family and see if he does any better with company. He's doing fine with the cat, but she's not quite enough to take his Mom's place. Other than his "home alone anxiety," Logan has been a loving and obedient boy; he's also doing very well with the 5 year old. Logan is going to need someone patient and tolerant...one who generally stays home or a household with overlapping family members until he becomes secure with his new environment. routine is also important with such dogs. We have successfully rehabbed about 4 dogs with varying degrees of separation anxiety and all are doing well, but it will take the right setting and people to get him through the process. UPDATE 7/31: Logan's results are back and he's perfectly healthy. All values within normal range, including thyroid. 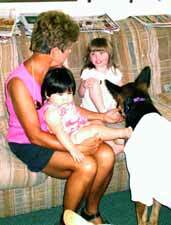 NEGATIVE FOR VALLEY FEVER, TICK FEVER and HEARTWORM. 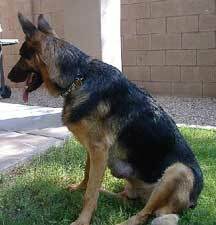 German Shepherds housed outside frequently do a good deal of munching on rocks, fences, etc. out of boredom, frustration or anxiety. Logan's teeth are pretty worn down giving the impression of an older dog. We. along with our vet, think he's about 3 years old. He's been left alone loose in the house several times for as much as two hours now and has been fine; no destructive behavior. We have to keep increasing the time left alone incrementally before we can determine where his threshold is. Plans to have another dog keep him company last weekend did not pan out so Logan did it all by himself! He's had a bath..finally..(thanks Mamma Kris!) and has said goodbye to his T-shirt. Now if only that pesky pouch of fluid beneath his incision would just go away! UPDATE 8/8: Our pretty boy had surgery yesterday to insert two drains in his side so that we can say good-bye to the fluid build up. 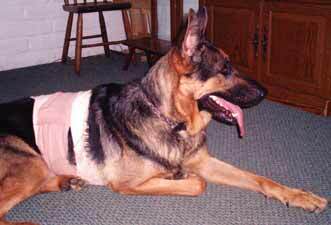 He also had some sutures removed from his incision. Draining has already started so we've put him back on antibiotics. He has a follow-up appointment on the 14th to see if they can be removed; if not, an additional week before that can be done. Logan cannot be shown until this is behind him as he has to wear an E-collar to keep him from removing the drains. We also don't want to expose him to the possibility of infection. Other wise, he's doing great...he's up to nearly five hours left alone, loose in the house and no problems; he's been a model citizen. UPDATE 8/17: Logan's drains were removed on Monday and the fluid is, so far, gone :-) He weighed in at a healthy 88 pounds. He left for Tucson on Tuesday. His foster Mom had a pre planned week-long vacation that we were not informed of until after he was placed. We wanted him to be somewhere familiar and avoid any additional stress as a result of another transition, so he is back with his original foster family for the week. He's doing just fine, he settled right in and is enjoying being reunited with his canine friends. 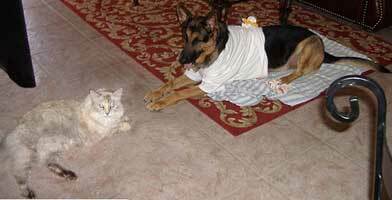 His fosters are retired and always home so he's helping baby sit the grand kids again. His Phoenix Mom wanted to adopt him before she left; we said not until we see how much, if any, of a set back he demonstrates upon her return. We're very optimistic but will not know for sure until the weekend of August 26th. His status will be updated at that time.